The difference between Google Certified partners and your average ‘web guy’ offering AdWords services is the level of expertise and knowledge you receive. Google offers professional accreditation for companies who possess specific skills. Google Certifications mean the company not only demonstrated knowledge on a skill but has also been tested on it. When you work with a Google Certified business, you are guaranteed to be working with a company who knows what they’re doing. Market3 has both its AdWords and Mobile Site Certification making us the experts you need. AdWords is a Google advertising service for businesses who want to purchase and display ads on Google and its affiliated advertising networks. When executed correctly, AdWords can help increase a business’ profit and outreach. 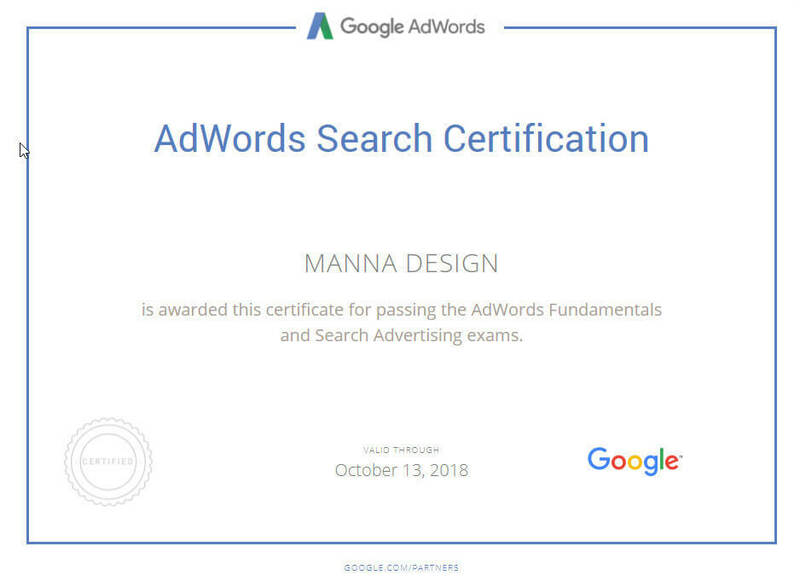 The AdWords certification by Google means Market3 demonstrated proficiency in basic and advanced aspects of AdWords and understands the benefits of online advertising through the software. AdWords focuses on Display Network, which includes banner ads purchased and set up by the client, and Remarketing, which are ads controlled by Google analytics. There are many benefits to a Google AdWords campaign. To start, it is extremely cost-effective. It operates on a pay per click system meaning you only pay for an ad when someone clicks on it. You can also decide how much to spend on your campaign by setting a budget so there are no unexpected costs. AdWords is also measurable, unlike other marketing campaigns. Everything from the number of clicks, impressions, conversations, click through rate (CTR), cost per click (CPC), and so much more are available for you to view. By being able to track and measure your abs success, Market3 can optimize and improve your campaign as it progresses. Not to mention, Google AdWords is highly targeted by location, mobile devices, language, and time, helping you reach the right audience. When it comes to AdWords, Market3 can ensure you get the most for your dollar by making sure the advertisements are set up properly. Companies can lose a lot of money with improperly run ad campaigns. If you’re displayed your ad to the wrong people or in the wrong geographic location, you won’t profit from your campaign. Another common and costly mistake is not excluding certain words from the campaign triggers. Not excluding the words DIY from the trigger words for “Luxury Kitchen Design” was losing one of our previous clients over $2000 each month on their self-managed AdWords campaign. Another one of Market3’s clients, a boarding kennel in South Jersey, lost a significant amount of money on ads because their advertisements were displaying in North Jersey—too far for anyone to drive to board their pets. By working with a certified company that understands marketing and understands the medium, Market3 can ensure your campaign will avoid these pitfalls and provide the maximum return on investment possible on your advertising campaign. To see how we can make AdWords work for you or for a complimentary review of your AdWords account, contact [email protected] or call 877-550-3111.